Botox® can not only smooth out wrinkles on your face but treat a wide range of dental issues. Millions of people have safely gotten Botox treatments over the past 30 years. When performed by a qualified doctor, Botox is not only safe, but very effective! Dr. Aneszko and Dr. Stino of Water Tower Dental Care offer Botox as a solution to help alleviate various dental issues, such as gummy teeth, TMJ issues, and even headache and neck pain. They can even administer it to lessen the appearance of wrinkles on your face. Read on to learn more about how Botox can not only help improve the quality of your smile but give you extra confidence as well! Botox is a neurotoxin called botulinum. It is produced by the bacterium Clostridium botulinum and is highly deadly in its natural form. Scientists in the 1980s found a way to make Botox safe, and since then it has been used by millions of people to treat a wide range of ailments as well as cosmetic issues. Botox works by blocking the signals from the nerves to the muscles. As a result, the muscle can no longer tighten, and this in turn causes wrinkles to soften and relax. It works much the same way when treating medical issues such as TMJ, headaches, and neck pains. It can take upwards of 5 to 7 days for the effects of Botox to fully kick in. The beneficial effects will last only 3 to 6 months. Then it is harmlessly absorbed and processed by the body. Botox will need to be administered again if the person wants the beneficial effects to continue. Botox is injected into various muscles in the neck, jaw, and face via a very fine needle. Botox should ONLY be administered by a medical doctor, or his or her assistant. The human face is comprised of an extensive network of nerves and muscles. The risk of negative side effects or medical complications is extremely high if Botox is administered by someone who isn’t a doctor or working under the supervision of a doctor. There are many “health spas” that offer Botox, but the risk factor goes way up because the person who administers it often has attended no more than a weekend seminar. Many people only think of Botox as a treatment for cosmetic issues such as wrinkles, fine lines, and even crow’s feet. 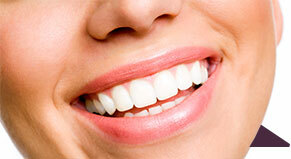 However, dentists have been using it for many years to treat a wide variety of dental conditions. Medical studies of Botox being used to treat dental issues are showing great promise. Gummy Smile – Botox is injected into the upper lip so it will cover the gums when the person smiles. It takes around 20 minutes and there is no recovery time. TMJ Issues – Botox can also be used to help relieve the pain from TMJ issues. It is injected into the chewing muscles to help them relax. Bruxism and other mouth/jaw conditions can also be treated this way. Headaches/Neck Pain – If you suffer from recurring migraines or headaches, Botox can help eliminate the pain. It is injected into 7 key areas on your face in order to lessen the constant pain. If the pain persists after the treatment, it could indicate other issues at play to cause the headaches and migraines. The original reason that Botox was created was to help treat wrinkles, fine lines, and other aging signs on the face. Water Tower Dental Care can help you achieve a more youthful look to your face via Botox injections. 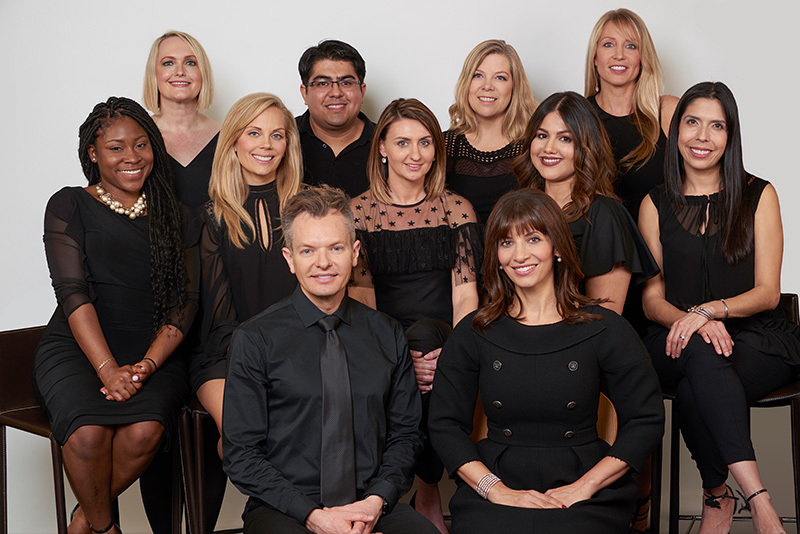 Our doctors and staff are fully qualified to treat you and have years of experience in helping our patients smooth out facial lines and wrinkles and look their very best. If you have wrinkles, fine lines, crow’s feet, then you owe it to yourself to help lessen the appearance of these age-defining features on your face. It can also be used to successfully treat one of several medical conditions that arise in the facial or neck areas. You should also be in good general health and have realistic expectations for improvement. Botox is usually charged by the vial. Each person will require different amounts of the substance based on the condition treated or how many facial wrinkles the patient has. Generally speaking, males tend to require more Botox than females. This is because men often have more and deeper wrinkles on their faces than females. In order to get a good idea of the total cost, you’ll need to sit down with Dr. Aneszko or Dr. Stino, so the doctor can listen to your concerns and make a recommendation. If the Botox procedure is performed by a reputable and qualified office like Water Tower Dental Care, there shouldn’t be any side effects. Since Botox is injected with very fine needles, you may experience a slight stinging pain during the injection. The needle isn’t injected very far into the skin and most people have described the pain as a “slight annoyance” rather than something that hurts a lot. If you start to notice swelling or any other out-of-the-ordinary medical conditions after your Botox treatment, call our offices and ask to speak to the doctor. If your condition is life-threatening, call 911 first or visit an emergency room. Botox is often referred to as a “lunch time procedure” because patients can return to work or their daily activities after getting it. No incisions, bandages, or medications are necessary. You may experience slight swelling or bruising, but this will go back to normal after a few days. If you suffer from headaches, migraines, TMJ, or other dental issues, you owe it to yourself to do something about it. 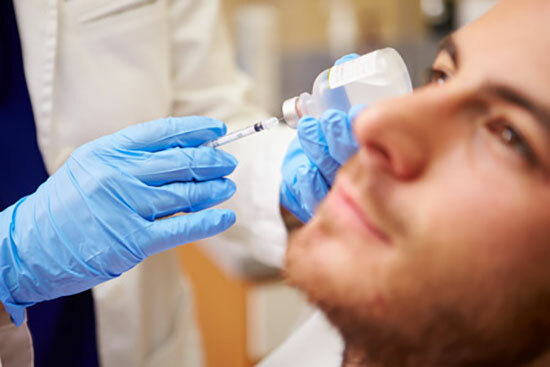 At Water Tower Dental Care, we specialize in using Botox to help treat a wide range of medical conditions to provide relief and comfort, and give you a new sense of confidence. Schedule an appointment today to learn how Dr. Aneszko, Dr. Stino, and their qualified team can help you feel better and make your smile look like a million bucks!